November 2018 is chock-full of fun family events around the Rock Hill area. Last month we let you know everything that was going on in the community served by the Rock Hill Coca-Cola Bottling Company during the first half of the month. Now take a look at all the holiday events taking place even before December gets here. On November 24th from 9 a.m. to 4 p.m., the Anne Springs Close Greenway will host the Winter Wonderland Holiday Market. More than 150 vendors from the region will be selling hand-crafted items ranging from gourmet foodstuffs to clothing to pottery and everything in between. You can probably check off most of your Christmas list in one day. Food and beverages will be available at this rain-or-shine event. Nothing gets people in the holiday mood quite like ice-skating can. Enjoy the open-air ice skating at the Founders Holiday Ice Rink from November 16th through January 21st. Opening night also coincides with the regularly scheduled Food Truck Friday, so you can make a whole evening of it! Old Town Rock Hill will come alive again this year with the whimsical art of Vernon Grant. ChristmasVille in Rock Hill, an outdoor art festival and holiday village, will take place November 29th through December 2nd. Enjoy some ice skating, then be on the lookout for strolling carolers. Try your hand at the gingerbread house competition. Rock Hill will host the Light Up the Night Christmas Parade on November 30th starting at 6:30 p.m. All the parade floats are brightly lit, making this parade truly something special. If you’re having trouble finding the ChristmasVille festivities, just follow the lights from this unique parade. The City of York will also be hosting the Christmas in Olde York Holiday Parade on November 30th at 6:00 p.m. With two parades to choose from, you’ll definitely be able to muster up some early holiday cheer. Of course we don’t want to forget Thanksgiving on November 22nd. 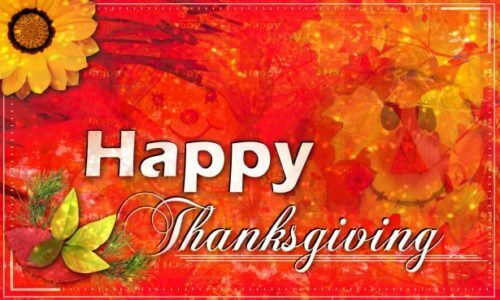 As you and your family gather to celebrate and to give thanks for the many blessings that have come your way, know that the Rock Hill Coca-Cola Bottling Company is always thankful for the opportunity to serve the wonderful Rock Hill community.